Home Blog Books Coming Soon Events Newsletter! 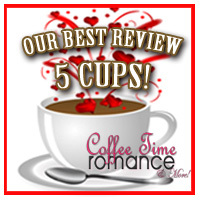 REVIEW FOR ELUDING ILLUSIONS FROM COFFEE TIME ROMANCE! The lovely reviewers at COFFEE TIME ROMANCE were kind enough to review ELUDING ILLUSIONS. Check out what they have to say! 30% Rebate at All Romance eBooks!